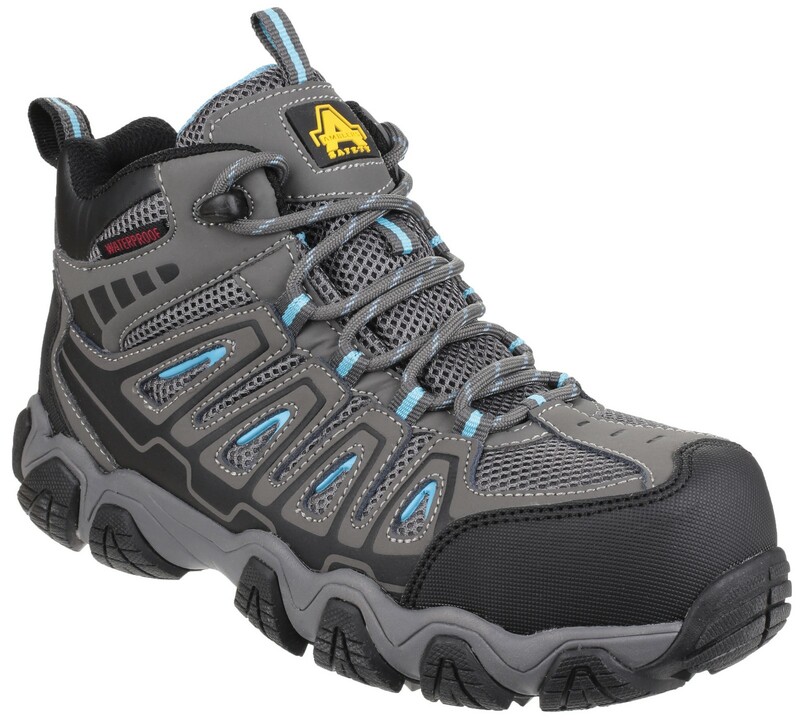 Ladies Safety footwear with Lightweight 200J composite toe cap with scuff guard overlay. 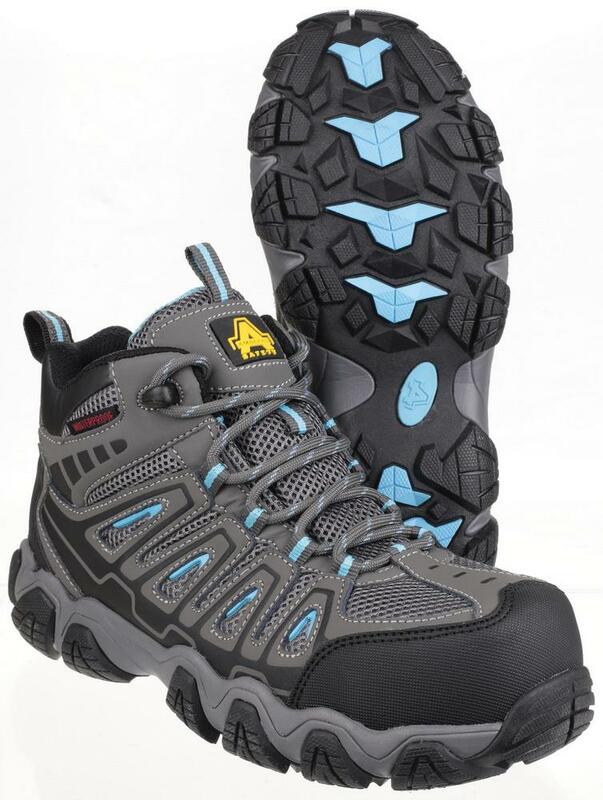 Hardwearing and Comfortable, antistatic EVA/Rubber sole with energy absorbing, heat resistant Heel. 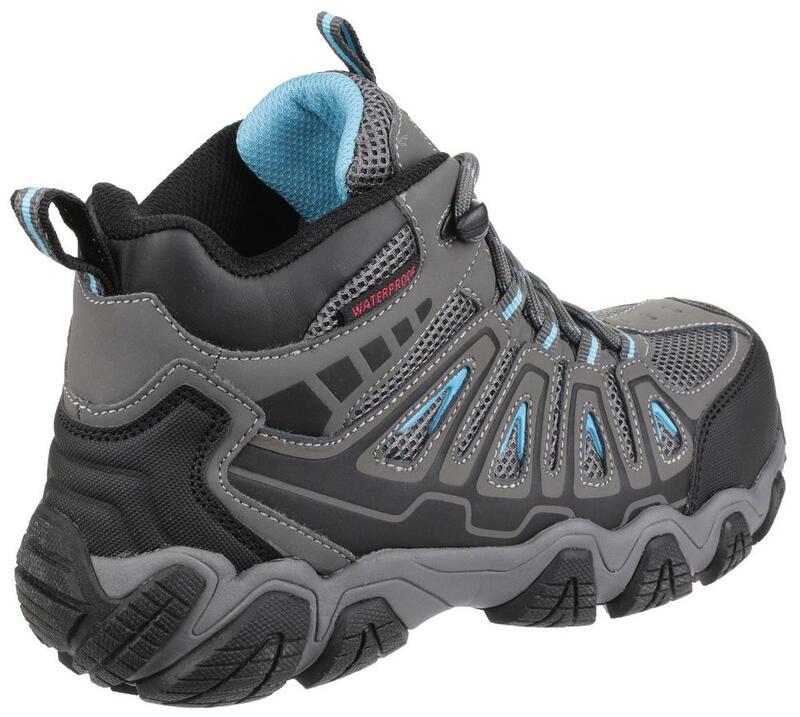 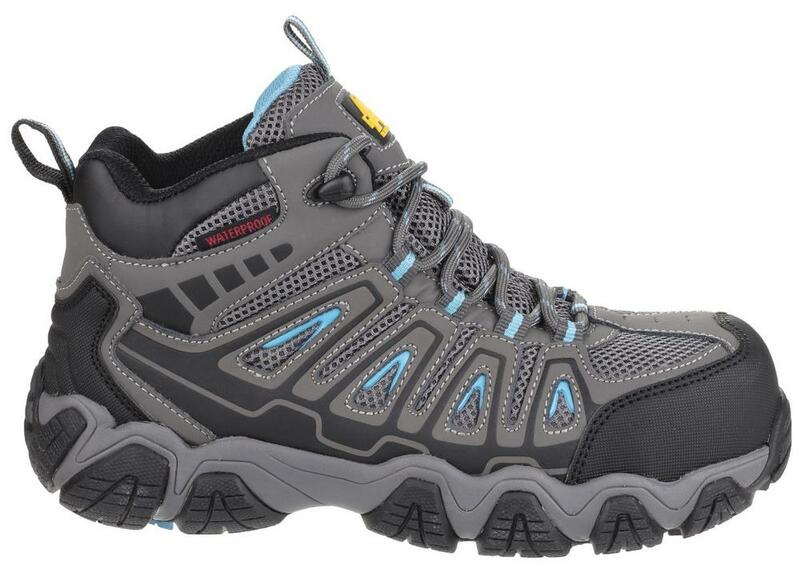 Amblers AS802 Ladies Hiker are crafted with a rugged water-resistant action leather and breathable mesh upper.